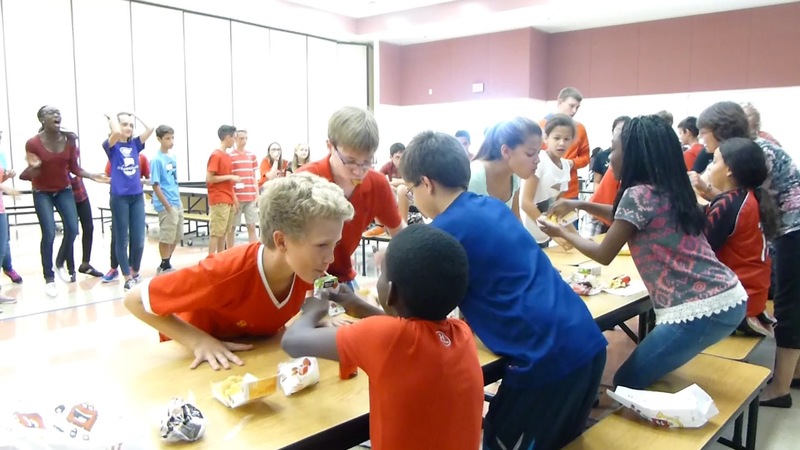 The promise of free burgers drew in an estimated 50-some students last week at Avalon Middle School! Students in our movement stepped out in faith and invited their friends. Though many of those friends said “no”, almost a third of the kids that came were new! Kids signed up for events like the Happy Meal Relay, Big Mac Attack and a McFlurry eating contest called Brain Freeze. 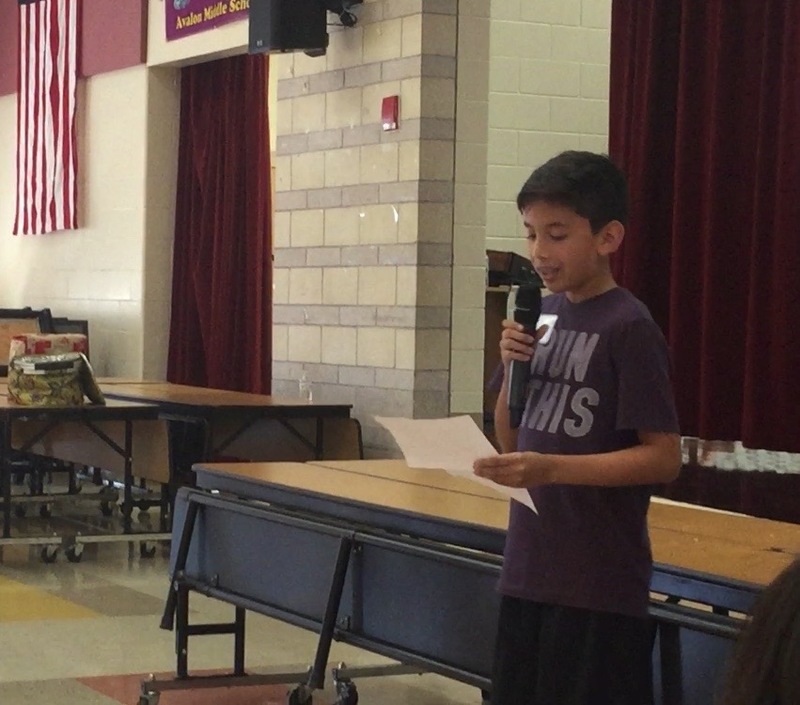 They had such a blast it was hard for our young emcees to contain them! But at “half-time”, a hush came over the crowd as one of our 7th grade guys named Chris shared a personal story of how God showed His great power to him. (You can read about it under “Chris’ Story” below.) What a gift it was to hear! We then showed a brief video called Falling Plates, introducing the gospel in a fabulously creative way. (Watch it at fallingplates.com) On the website, the video ends with the question, “Will you follow me?” and allows you to respond in a variety of ways using tabs. At the outreach, we used comment cards with these same options to gauge where our audience was spiritually so we can meet them where they’re at. Now we’re eager to help those interested with next steps! Chris injured his leg pretty badly last December, forcing him to depend on crutches. He was scared because he’d never been hurt so badly and sad because he didn’t want to be on crutches for Christmas. So he began to ask God if He would let him walk for Christmas. Up through Christmas Eve, Chris’ injury kept him in great pain. But when Christmas morning came, Chris walked pain free without crutches! Through this answer to prayer, Chris experienced God’s true power firsthand and he wanted to tell his friends about it so they could know it too.